India as a whole was not a unified country but a continent divided into rival kingdoms, once aggregated by force by Emperor Chandragupta Maurya in 320 BCE. Warfare took a multitude of forms, but large armies tend to use a combined arms tactics, try to use the best formations. Dozens of formations were known, both defensive and offensive. Elite warriors known as the Ksatrya were well versed into a variety of weapons unknown to the west like the chakras, whip blades, etc. After the British conquest in the XVIIth century the subcontinent was once more unified and in the late XIXth century, the Indian army was modeled after the British Army. Despite a major rebellion in 1877, Muslim Indians fought in ww1 and ww2, the latter from North Africa to Italy. The partition of 1947 was the result of the Indian independence gained after the war, but Muslim Indian wanted a separation from Hindu Indians, which ended with two territories separated by the subcontinent, east and west Pakistan. East Pakistan will eventually become Bangladesh in the 1970s. 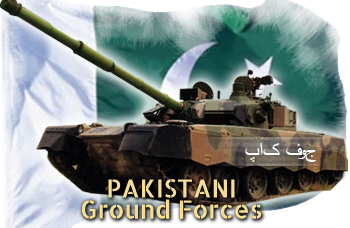 The Pakistan Army was created on 30th of June of the year 1947, following the splitting of the British Indian Army. Much of its traditions were kept unchanged. Also called the “First Kashmir War”, it was a dispute over the Kashmir and Jammu supposed secession to India. It was led by Pakistani tribed and mostly a horse and foot conflict with no if a few armored vehicles involved. In this occasion, Indian armored cars were instrumental in driving off Pakistani soldiers. Second attempt to invade the Jammu-Kashmir region, then by regular Pakistani Forces, Operation Gibraltar. It lasted only 17 days but saw the largest tank battles since ww2. One of the major tank battles was without doubt Asal Uttar. 97 Pakistani tanks were either destroyed or captured from the Pakistani 1st Armoured Division that never made it past Khem Karan. Prior to that, again, nearly 100 tanks were lost from the 6th armored division near Sialkot, against the Indian 1st Armoured Division (battle of Chawinda). There was no clear winner, both countries claiming victory, and had a similar number of casualties, although Indian territorial gains were double of that of Pakistan. On the Pakistani side, armored forces mostly counted US-built models, of which the M47 Pattons formed the biggest part. They were completed by older M4A3 Shermans and more recent M48 Pattons of the early type (armed with the 90 mm cannon) whereas the Indian Forces also had Shermans but their best tanks were Centurions, armed with a 105 mm rifled gun. This major conflict had severe consequences for Pakistan which started to try suppressing a major rebellion in East Pakistan, over Bengal. Indeed, it was also known as the Bangladesh Liberation War, the war that created a new country. All the fightings took place in Bengal and saw the Pakistani lost half their navy, and about one-third of the army, including tanks. Using “blitzkrieg” techniques, and with superiority in armor, the Indian forces took nearly 90,000 prisoners in this war. Once again both armies were pitted against one another on the mountains of Kargill over the Jammu-Kashmir border. Only self-propelled guns were committed in action, as well as artillery, and air support, infantry but no tanks. During the cold war, American Tanks made the staple of the Pakistani regiments. Now, these regiments relied on a series of main battle tanks of Chinese or joint Sino-Pakistani conception. Also called “MBT-2000” although it’s the export version of the same, the Al Khalid is a joint Sino-Pakistani main battle tank intended for desert warfare. Al Khalid II is currently under production and two prototypes of the Al Khalid III are under testings. About 320 were delivered from Ukraine between 1997 and 2002, all fitted with the T-84 turret. Negotiations are carried out with Russia for modernization as the T-80UD. The Al Zarrar is a considerably enhanced version of the Chinese Type 59, a modernization by HIT heavy industries. About 600 are in service today, entering in 1990 into the elite regiments compositions. An upgraded version of Chinese Type 85AP with a 125 mm smoothbore gun. 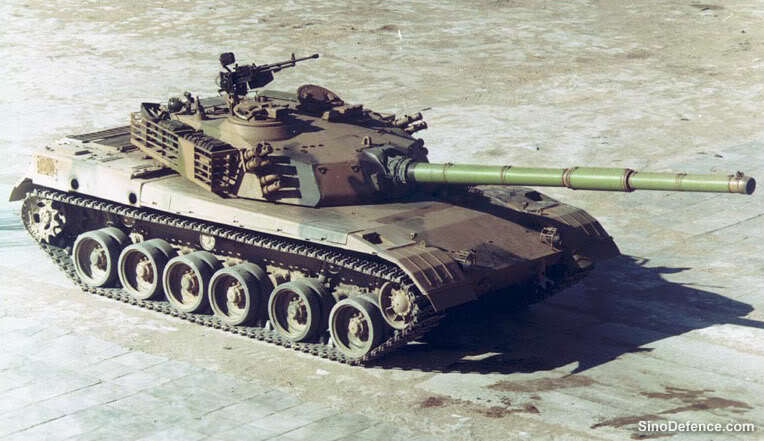 The export version of the Type 79 is also part of the Pakistan tanks regiments, as 400 are in service today. A Pakistani Type 59-I stationed at the government installation in Hayatabad near tribal areas, June, 30, 2011. About 1,300 were purchased from China until 1990. The Al Zarrar was developed from it. Here from the 5th armored division, 25th cavalry, 6th squadron, Sialkot sector, 1965 (Indo-Pak war). Notice the extra fuel drums. Before the engine was changed for a diesel on the M48A3, these tanks had quite limited range. At the battle of Chawinda they decimated the Indian Shermans, AMX-13s and even scored kills on some Centurions. They also performed well in the Chamb and Shakarghar offensives in 1971. Eventually, they were replaced by M48A5s, 300 of which are now are in reserve. One of the most common frontline Pakistani tank in 1965, about 400 wherein service then. Apparently, 50 of these Chinese amphibious light tanks were ordered in 1970-71. Now lost or transferred to Bangladesh. (Here an Indian PT-76). Apparently, 32 were Delivered by Indonesia between 1969 and 1970. Apparently, 80 YW-531 are in service today.